Europeisk Ungdom (European Youth // Young Federalists of Norway // JEF Norway) is the Norwegian section of Young European Federalists. JEF Norway is a non-partisan youth NGO working for a Norwegian EU membership and a more democratic Europe. 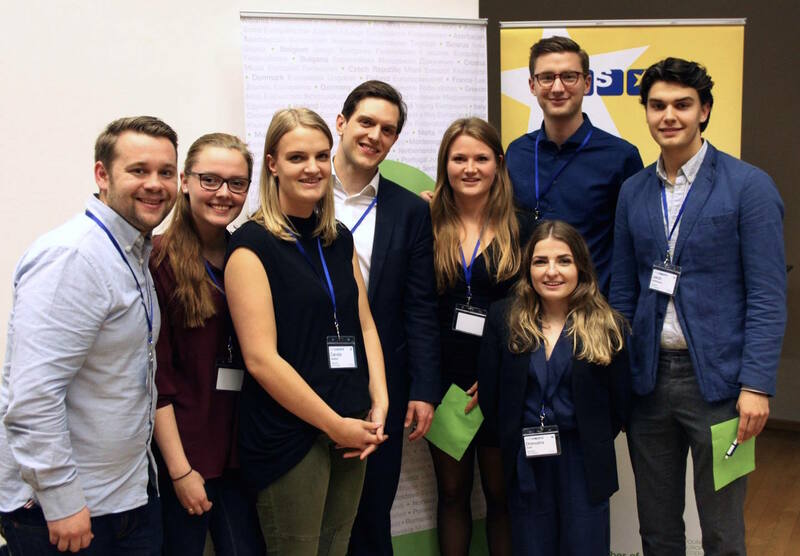 The JEF Norway delegation to the JEF Congress 2015. From the left: Christian Kjekshus (Secretary General), Charlotte Johansen (president of JEF Trondheim), Camilla Walstad (senior vice-president), Christopher Glück (president of JEF Europe), Rannveig van Iterson (international officer), Drenusha Suka (member of the international committee), Nikolai Fjågesund (president of JEF Norway) and Jakob Mathisen (former board member of JEF Hordaland).